Many people worldwide have said shortly before their deaths that they have experienced visions of angels appearing to help them make the transition to heaven. 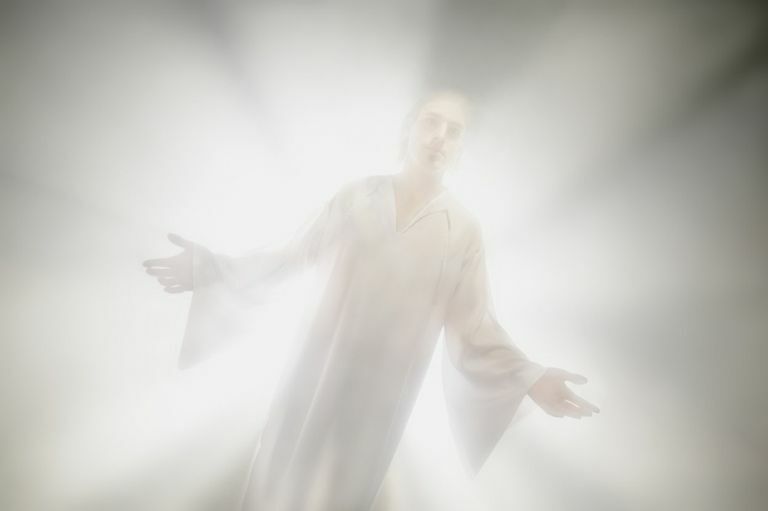 Doctors, nurses, and loved ones report witnessing signs of deathbed visions, as well, such as seeing dying people talking to and interacting with invisible presences in the air, heavenly lights, or even visible angels. While some people explain the angel deathbed phenomenon away as hallucinations from medications, the visions still occur when patients are not medicated – and when the dying talk about meeting angels, they’re fully conscious. So believers say that such meetings are miraculous evidence that God does send angelic messengers for the souls of dying people. It’s common for angels to visit people who are preparing to die. While angels can and do help people when they die suddenly (such as in a car accident or from a heart attack), they have more time to comfort and encourage people whose dying process is more prolonged, such as terminally ill patients. Angels come to help anyone in who is dying – men, women, and children alike – to ease their fear of death and help them work through issues to find peace. The visions of angels that dying people describe are incredibly beautiful. Sometimes they involve simply seeing angels in a person's environment (such as at a hospital or in a bedroom at home); at other times, they involve glimpses of heaven itself, with angels and other heavenly residents (such as the souls of the person's loved ones who have already passed away) reaching out from heavenly dimensions into earthly ones. Whenever angels show up in their heavenly glory as beings of light, they're radiantly beautiful. Visions of heaven add to that beauty, describing gorgeous places in addition to magnificent angels. Graham writes in Angels that, “I believe death can be beautiful. … I have stood at the side of many people who have died with expressions of triumph on their faces. No wonder the Bible says, “Precious in the sight of the Lord is the death of his saints” (Psalm 116:15). Most of the time, the angels whom dying people recognize when they visit are the angels who are closest to them: the guardian angels whom God has assigned to care for them throughout their earthly lives. Guardian angels are constantly present with people from their birth to their death, and people can communicate with them on through prayer or meditation or meet them if their lives are in danger. But many people don't actually become aware of their angelic companions until they meet them during the dying process. When deathbed visions of angels are complete, the dying people who see them are able to die with confidence, having made peace with God and realizing that the family and friends they leave behind will be okay without them. What Are the Details of the Artistic Depictions of Angels of Love? How Do Guardian Angels Care for Children? Is Your Guardian Angel Visible?